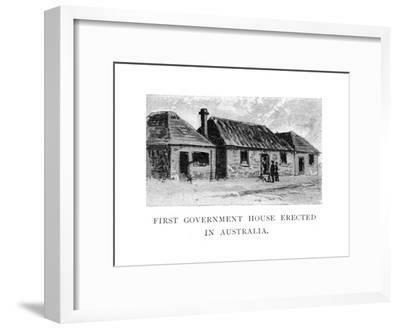 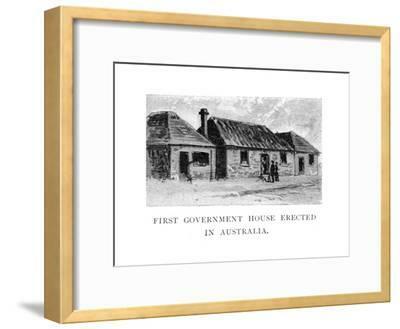 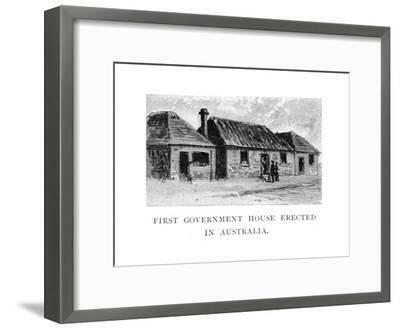 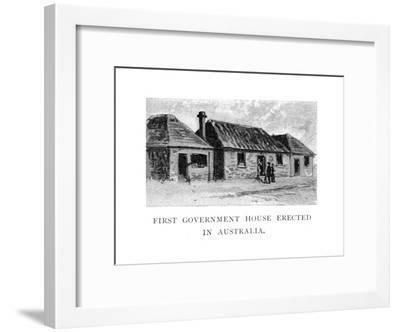 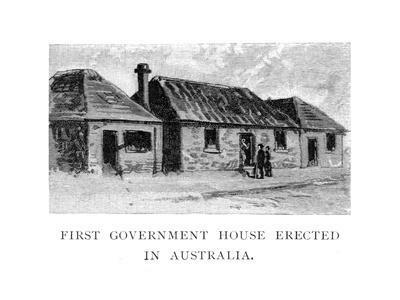 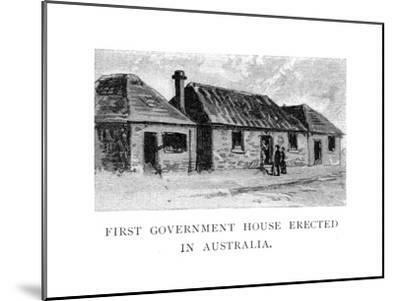 The First Government House, Sydney, Australia, (1886). Constructed of timber slabs, thatched roof and external stone chimneys shortly after the first British colonists arrived in 1788. 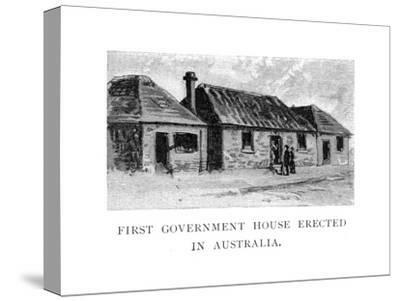 Wood engraving from 'Picturesque Atlas of Australasia, Vol I', by Andrew Garran, illustrated under the supervision of Frederic B Schell, (Picturesque Atlas Publishing Co, 1886).